Scott M. Bassett was born on March 4, 1961, in Bloomington, Indiana, where he graduated from Bloomington High School North in 1979. Bassett then enrolled at Indiana University, receiving his B.S. in Accounting in 1983. Upon reciving his undergraduate degree, Bassett attended the Indiana University School of Law, receiving his JD in 1983. After law school, Bassett began his career with the multinational accounting and professional services firm of Ernst & Young, LLP. After almost 20 years with the firm, where he focused on human capital and outsourcing services, Bassett became an executive with ExcellerateHRO in Plano, Texas. 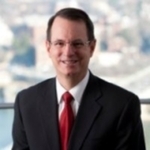 In 2007, he became a principal with Deloitte Consulting, LLP. He retired from Deloitte in 2017 and a year later founded the information technology and services firm, General Ledgers Company. Bassett has served on the Law School’s Alumni Board for more than 10 years, serving as president in 2015. Bassett was the receipient of 2016's law school Distinguished Service Award. "Scott M. Bassett" (1961). Notable Alumni. 190.